Hurricane Katrina will long be what many people think of and associate with the great coastline of Mississippi. Although the impact of Katrina will forever be etched in our hearts and minds, the towns that were in the eye of the disaster almost 10 years ago have overcome and rebuilt far beyond what was ever imagined! The people of the south are a hearty and dedicated group, determined to prove that the MS Coast will continue to be a favorite vacation spot for visitors young and old. Whether you’re into history, art, nightlife, entertainment, golf, camping, beach life, or good food, the MS Gulf Coast has something for you! 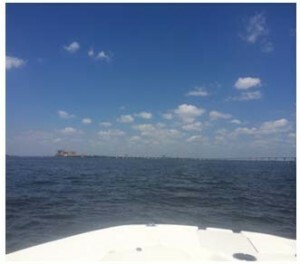 The Mississippi Gulf Coast is 62 miles or scenic shoreline with 26 miles of incredible soft sandbanks. Along the route, there are many areas designated for endangered species. Visitors are often seen stopping along the road to take pictures of these beautiful endangered animals. One frequently seen bird, the Least Tern, is a tourist favorite! The coastline is a great spot for photography lovers! During March-October, your group must plan a trip to Ship Island­—a short ferry ride directly off the coast of Gulfport. Ship Island is one of the most popular water-borne attractions. A family owned and run business since the early 1900’s, Ship Island offers fun for everyone! The smoke-free ferry ride lasts just under an hour, and has different departure and return times available to accommodate the needs of your group. During your ferry ride, be sure to keep your eyes open for dolphins! They love to perform for the ferry groups! Coolers up to 42 quarts are allowed, but no class containers please. Umbrellas and chairs may be brought with you, or you may choose to rent them on the island. The island features a large swimming area, a snack bar, covered picnic areas, restrooms, showers, gift shops, room to explore and collect shells, and even free guided tours by park rangers of Fort Massachusetts! Groups of 20+ must make reservations within 48 hours of expected arrival. Group discounts are available except for Saturdays, holidays, and holiday weekends. Adult price is $23 (age 11+) and $15 for children (age 10 and under). No charge for children under the age of three. Spend a few hours or make it an all-day trip! Another thing to keep in mind is many hotels offer Ship Island discounts! Another kid-friendly attraction is Gulf Islands Water Park. It’s opened from May-September, but daily operation is only during the months of June and July. The water park offers water fun for all ages with the lazy river, a water roller coaster, slides, rafts, and wave pools! The little ones will really enjoy Lil Pelican’s Bay and Ship Island Wreck. Group rates are available for groups of 15-99 people and a 72-hour advanced booking is required. Group rates are $21.99 Saturday-Sunday and $19.99 Monday-Friday. Group meal vouchers can also be purchased for $7.25. Lover of classic cars, motorcycles, and boats? Stop at Busted Wrench Garage Museum and Gift Shop in Gulfport. The 6,000 square foot exhibit hall is open Monday-Friday from 8-5 and Saturday from 10-5. What makes this a favorite stop is that the museum is fascinating and free! 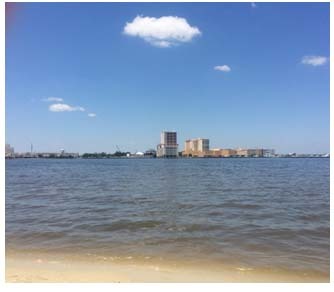 If you’re looking for a little more adventure, mosey on down to Pascagoula. Gulf Coast Gator Ranch and Airboat Rides is a year-round place of excitement! Open from 9am-6pm Monday-Friday and 12pm-6pm on Sunday, there is plenty of time to plan your fun. From an enclosed boardwalk, you can feed and few the alligators before the 30 minute airboat ride through the swamp with your personal tour guide! Prices are $30 (ages 10+), $15 (ages 4-9), and children under age 4 are free of charge. While in the area, visiting local eateries will blow your mind! Two local favorites are The Shed BBQ & Blues Joint with locations in Ocean Springs and Gulfport, and Half-Shell Oyster House with locations in Biloxi, Gulfport, and in the Biloxi Hard Rock Casino. The Shed is a very eclectic restaurant and has won numerous BBQ awards. It was even recently featured on Food Network! Enjoy a full rack of baby back ribs, 3 sides, and 2 slices of BBQ bread for only $34! Not that hungry? A pulled pork plate with 2 sides and bread should fill you right up for only $12! Craving more of a seafood type meal? Be sure to check out Half- Shell Oyster House and their famous charbroiled oysters. Customer favorites include the shrimp and grits, seafood pot pie, gumbo, and other seafood specialties. Visiting this New Orleans inspired atmosphere and restaurant will be a real treat! If you’re more in the mood for mouth-watering burgers, make sure to stop at Woody’s Roadside in Ocean Springs, MS. Open from 11am-10pm, there’s plenty of time to try their famous wings, BBQ, burgers, daily specials, and more! Accommodations are abundant along the coastline, and many visitors enjoy staying in one of the many casinos for as low as $59/night. The Islandview Casino in Gulfport is directly off Highway 49 and is a straight shot to the Outlet Malls and a vast choice of dining options. If non-smoking is your preference, The Palace Casino is 100% non-smoking and your place to stay and play. Looking for something more quaint and quiet? Gulf Hills Hotel and Conference Center in Ocean Springs is perfect. Rooms start around $100/night, but group rates are available. This hotel was a favorite of Presley, Monroe, Garland, and Mansfield in years past. With fishing, kayaking, bird-watching, playing tennis or golf available to you on-site, this could turn into your new favorite getaway, too! This quick guide will make sure you get to the wedding on time and in-style. Depending on your preferences and budget, there are several options to consider when arranging transportation for your wedding day. If you need to accommodate a large group, motorcoaches or charter buses are a popular option. For smaller parties, or for shuttle-type service, a mini coach or a van may be a better solution. Transporting the members of the wedding party often falls under the things that you are responsible for. This can include many different kinds of transportation including bachelor and bachelorette parties, wedding dinner rehearsals, airport shuttles for out of town guests, hotel to venue shuttles, ceremony to reception transportation, and of course, the safe ride home transportation for those who may have had a little too much fun at the reception. This can be an important part of these kinds of events and can be the difference between frustration or delays and an event that runs smoothly and without major drama. When booking transportation (best done about three months in advance, or earlier if you’re in an area with few options), make sure you’re dealing with a reputable company. Get a referral from a trusted friend, speak to former customers, and check with the Federal Motorcoach Carrier Safety Administration to check if you are choosing a safe and reliable operator. Call the list of potential operators and find out whether the drivers will wear uniforms, if they have ADA complaint equipment and, if it’s important to you, ask whether you can have champagne or other alcohol on your trips. Ask your transportation provider for advice on your wedding party specifics. Give them the location of your venue, where your guests will be staying, how many people you have in your wedding party, and what days and times you are planning on having events. Ask them about what you can do to keep your transportation budget to a minimum. Also, ask them about your venues and any transportation limitations that may present. Be sure to work with a company that has equipment that you want to use and be sure that you specify the kind of equipment that you want to service your events. Once you’ve made your choice, be certain that your chosen provider has your full itinerary at least 2 weeks before your event. Follow up with them and make sure that they have received it and ask them if they foresee any issues based on traffic, construction, or special events in the area. Choosing to provide transportation for your wedding party can be a major upgrade to your entire event. It will make sure that you don’t have lost guests and that you can keep on schedule. One of the biggest costs on your wedding day can be for unplanned overruns on your venues, bands or DJ’s, photographers, and caterers. A motorcoach will help you keep these expenses in check! 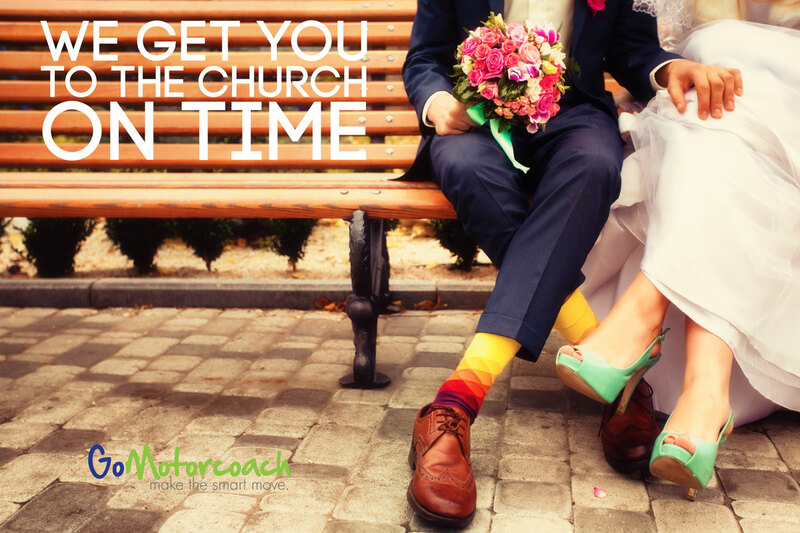 When we decide to book your wedding transportation, we look forward to showing you what makes motorcoach the premier choice for brides and weddings. When you think of memorable moments from your wedding, you don’t want your uncle’s DUI arrest to be one of them! Let your wedding guests relax and party without worrying about choosing a designated driver by making sure that you have transportation to get them safely from the reception site to the hotel. If you can afford it, hire a shuttle company to run shuttles to and from the wedding reception at specific hours. For example, if your reception is from 6:00 to 11:00 p.m., you might have shuttles leaving the hotel (or ceremony site) at 5:45 p.m., 6:00 p.m. and 6:15 p.m. Then, have shuttles returning to the hotel at 9:00 p.m., 10 p.m., 10:30 p.m., and 11 p.m. Make sure to put information about shuttle times in the guest welcome packages. Plan the pickup and drop-off! If you have a small guest list, and you trust everyone to be ready on time, you might just hire one motorcoach to drop off and pick up wedding guests at one particular time. Most charter bus companies have a minimum amount of time to rent a coach, usually around 3 hours. For most smaller gatherings, this is enough for a single drop off and a pickup. Ask your charter booking company if they offer different kinds of transportation, or if they can provide references to reputable companies that they have worked with in the past. Sometimes, booking more than one type of vehicle with the same company can save you money. Doing this can save you more than you might expect. One of the biggest unexpected expenses during a wedding is time over runs on venues. Most reception venues and ceremony locations have given you a very strict set time that you must start and end. Using a start and stop shuttle can help eliminate that big surprise after the night is over. When looking for a charter bus company, make sure to check for things like minimum hour requirements and charges for mileage, policies about alcohol on the coach and whether driver gratuities are included in the price or extra. Also, check with the FMCSA website to check the safety record of the carrier you are interested in using. You can find a link to that service here. Remember that budget is important, but the safety of your guests should always be your number one concern. If there’s simply no way to work transportation into your wedding budget, then make sure to ask your wedding reception site to have taxis waiting at the end of the night. It’s much easier to persuade a tipsy guest to take a taxi if that taxi is ready and waiting. Arranging transportation for your wedding guests may seem like one more thing to-do in an already crowded list, but this sort of thoughtful planning will help your guests relax and enjoy their evening.